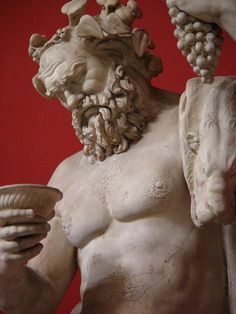 Dionysus was the god of fertility and wine, later considered a patron of the arts. He created wine and spread the art of viticulture. He had a dual nature; on one hand, he brought joy and divine ecstasy; or he would bring brutal and blinding rage, thus reflecting the dual nature of wine. Dionysus and his followers could not be bound by fetters. Dionysus was the son of Zeus and Semele, and he was the only god with a mortal parent. Zeus went to Semele in the night, unseen by human eyes, but could be felt as a divine presence. Semele was pleased to be the lover of a god, even though she did not know which one. Word soon got around and Hera quickly assumed who was responsible. She went to Semele in disguise and convinced her she should see her lover as he really was. When Zeus visited her again, she made him promise to grant her one wish. She went so far as to make him swear on the River Styx that he would grant her request. Zeus was madly in love and agreed. She then asked him to show her his true form. Zeus was unhappy knowing what was about to happen, but bound by his oath, he had no choice. He appeared in his true form and Semele was instantly burnt to a crisp by the sight of his glory. Zeus managed to rescue the fetal Dionysus and stitched him into his thigh until he would be ready to be born. His birth from Zeus conferred immortality upon him. Hera, still jealous of Zeus' infidelity and the fact that Dionysus was alive, arranged for the Titans to kill him. The Titans ripped him to pieces; however, Rhea brought him back to life. After this, Zeus arranged for his protection and gave him to the mountain nymphs to be raised. Dionysus wandered the world actively spreading his cult. 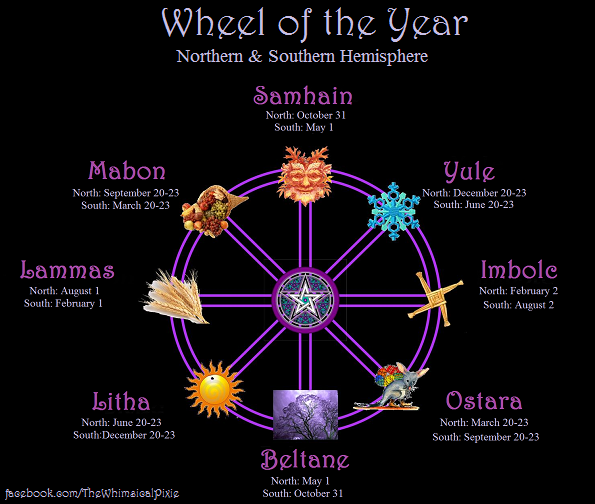 He was accompanied by the Maenads, wild women, flush with wine, shoulders draped with a fawn skin, carrying rods tipped with pine cones. While other gods had temples to be worshipped at, the followers of Dionysus worshipped him in the woods. There, they might go into a state of ecstasy and madness, ripping apart and eating raw any animal they might come upon. Dionysus was also one of the very few characters able to bring a dead person back from the underworld. Even though he had never seen Semele, he was concerned for her. Eventually, he journeyed into the underworld to find her. He faced down Thanatos and brought her back to Mount Olympus. Dionysus became one of the most important gods in everyday life and was associated with several key concepts. One was rebirth after death; his dismemberment by the Titans and his return to life was symbolically echoed in viticulture, where the vines must be pruned back sharply, and then become dormant in winter for them to bear fruit. Another concept was that under the influence of wine, one could feel possessed by a greater power. Unlike other gods, Dionysus was not merely a god to be worshipped, but he was also present within his followers; at those times, a man would possess supernatural powers and was able for things he would not be able to do otherwise. The festival for Dionysus was held in the spring when vines would start bearing leaves. It became one of the most important events of the year and its primary focal point was the theater. Most of the great Greek plays were initially written to be performed at the feast of Dionysus. All participants, writers, actors, spectators, were regarded as sacred servants of Dionysus during the festival.